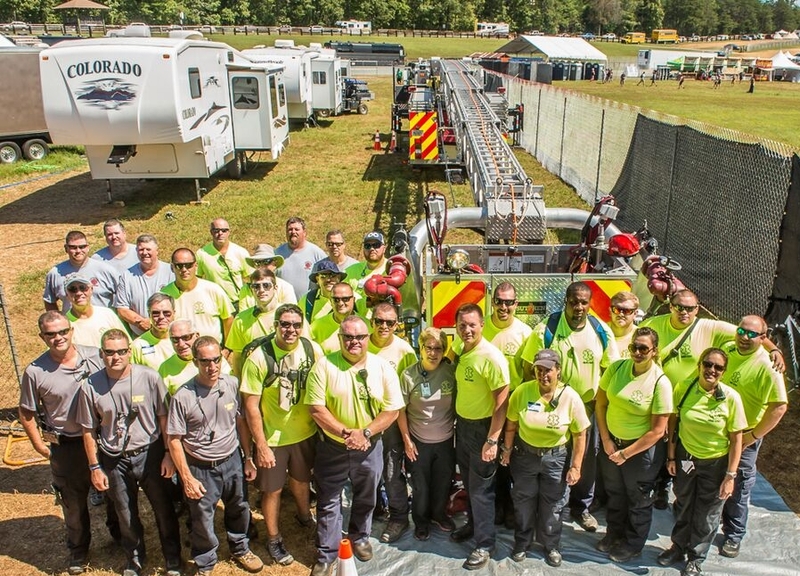 Sept 11, 2015 - Crews from Wintergreen Fire & Rescue and Lovingston Fire Department prepare for the kick-off to the 2015 Lockn' Music Festival which began with a tribute to fallen first-responders from 911 during which the American flag was deployed from Wintergreen Truck 1 while John Popper, lead member of the Blues Traveler played the National Anthem on harmonica. During the tribute all team members were called on stage to be recognized. Approximately 20,000 people will spend the weekend on Lockn' Farm in Arrington VA for a music festival. Wintergreen provides 24/7 EMS coverage for approximately one week with up to as many as 36 persons per shift during the festival.